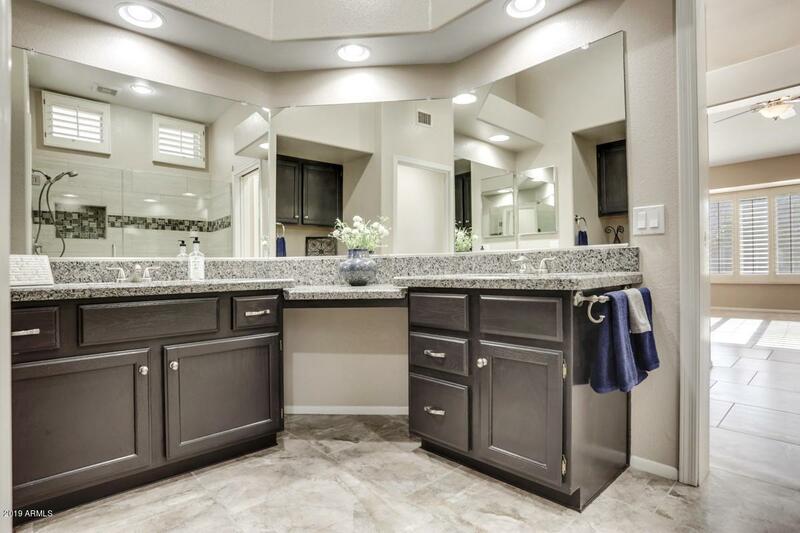 Want upgrades and a total remodel? This split bedroom Payson model has it all! Wall removed between kitchen & great room for added space and drama. 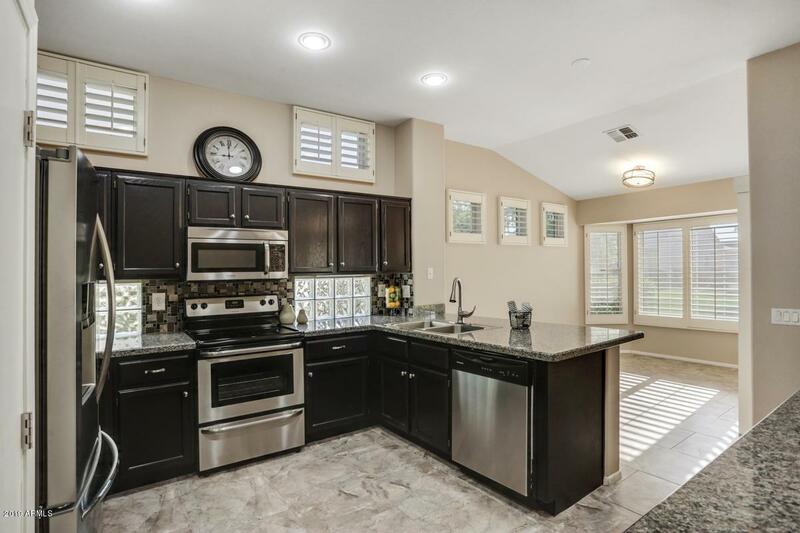 Kitchen features island, granite counters, pantry, SS appliances, gas hookup, glass tile backsplash, new lights & new faucet. 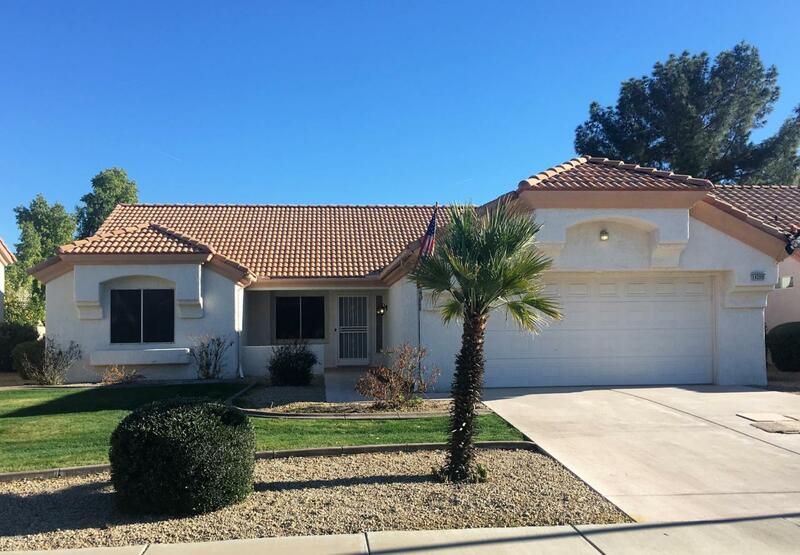 Enjoy 20'' tile thruout home, updated baths, tiled master shower, plantations shutters, expanded patio w/paver area, NEW HVAC in 2016, New Water Heater in 2018 w/recirculating pump, surround sound speakers, expanded garage, solar panels, extra insulation, all new lighting & plumbing fixtures. 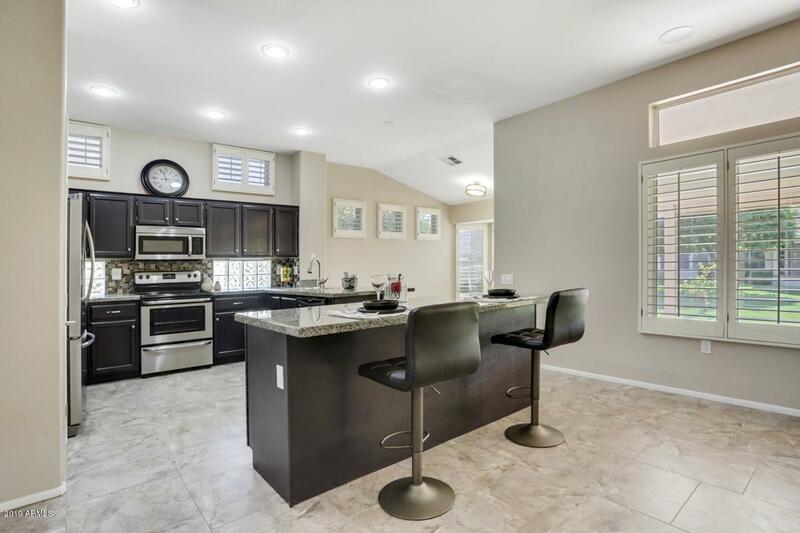 Enjoy entertaining in this lovely home. HOA mows the front & back yards along with landscape, does pest control, pays for exterior water only, and covers garbage cost. Seller is paying off solar so buyer will own it after closing.